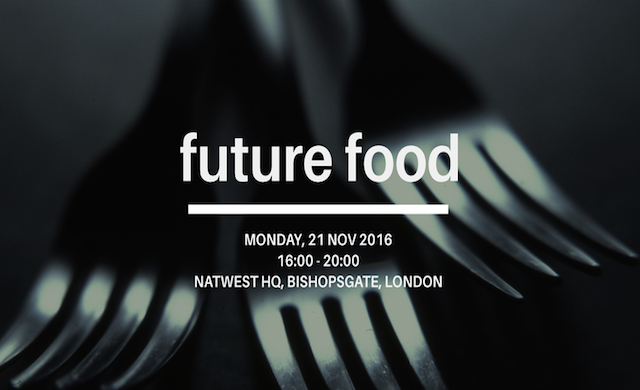 Food, drink and restaurant start-ups are being invited to attend Worth Retail’s Future Food event on Monday 21 November at Natwest HQ in Bishopsgate London. The free 90-minute workshop will feature speakers from major brands, including head of digital payments at MasterCard; Elliot Goldenberg, and ex-operations development manager at Sainsbury’s Marcus Fox, alongside Harry Thuillier from Oppo, and a representative of Startups 100-listed Hello Fresh. Kicking off at 4pm, the event will explore the latest innovations in the industry and offer insights into its future, as well as advice on breaking in. It will conclude with a networking session, giving brands a chance to showcase their businesses and sample their products. Worth Retail is the sister company of Worth Capital, Startups.co.uk’s partner for its seed funding competition. The event is limited to a maximum of 200 people and will be filled on a first come, first served basis. Register here.